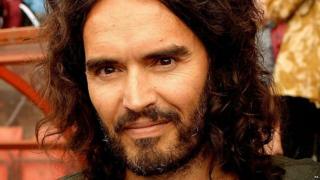 Russell Brand married his partner Laura Gallacher in a ceremony near Henley-on-Thames on Saturday. The actor announced the news to listeners of his Radio X podcast, saying "I'm living a married life now...I'm domestic." Singer Noel Gallagher, comedian David Baddiel and presenter Jonathan Ross were among the guests. Ms Gallacher is Brand's second wife. He married US singer Katy Perry in 2010 but they divorced 14 months later. He admitted on the podcast he had got his first nose hair wax for the ceremony. Brand, 42, already has a child with 30-year-old Ms Gallacher, who is the daughter of golf star Bernard Gallacher. He captained Britain's Ryder Cup team three times, winning in 1995, and has won 10 European Tour titles. Ms Gallacher is the sister of TV presenter Kirsty Gallacher, who seemed to break the news of the engagement in an Instagram post in June 2016.